Aircraft electrical propulsion is predicted to be the next big disruptor of the aviation and aerospace industries. However, the role that airports will play is often overlooked. Rather than passively adapting to the technological demands of electric aircraft, and as part of a broader sustainability mission, Amsterdam’s airport Schiphol is working to lead the change. To learn more, Roland Berger interviewed Denise Pronk, Head of Sustainability at Royal Schiphol Group. In general, how is Schiphol Airport working towards becoming more sustainable? Where do you see airports playing a role in the electric aviation trend? How does Schiphol airport plan to participate in making electric flight a reality? What additional infrastructure would be required at airports to enable large-scale use of electrically propelled aircraft? Hey Buddy!, I found this information for you: "Four questions on sustainable flight with Denise Pronk (Head of Sustainability, Royal Schiphol Group)". 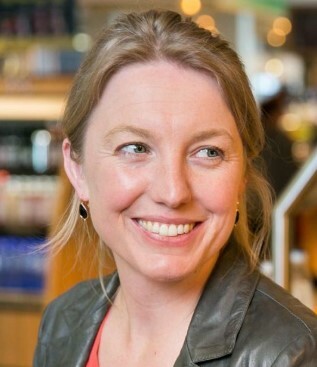 Here is the website link: https://www.duurzaam-ondernemen.nl/four-questions-on-sustainable-flight-with-denise-pronk-head-of-sustainability-royal-schiphol-group/. Thank you.